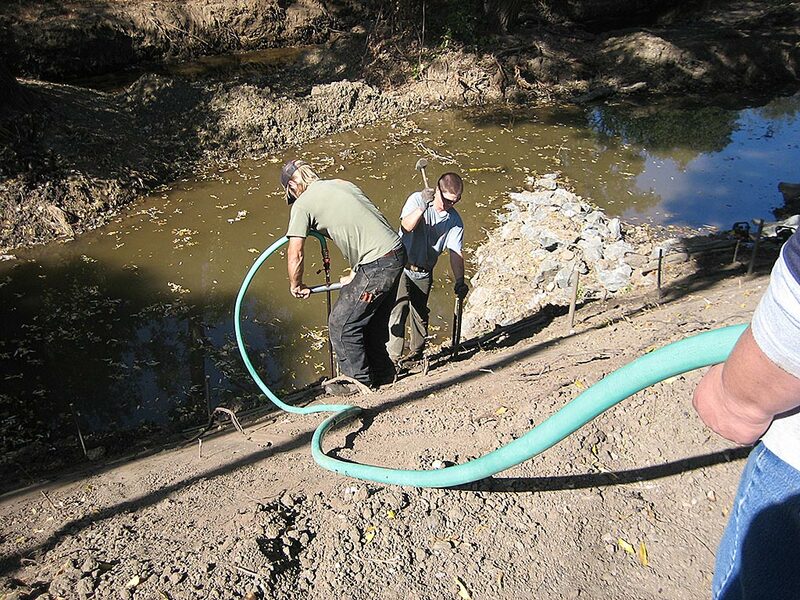 Suisun Creek is a tributary to San Francisco Bay that winds its way through rural Napa and Solano counties and contains a robust population of endangered wild steelhead trout. 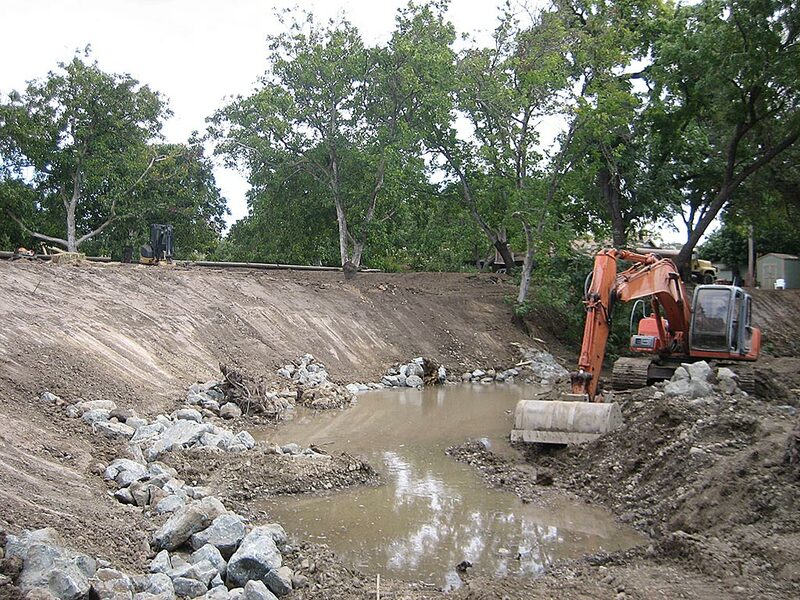 Shelterbelt has worked for several years with the California Land Stewardship Institute (CLSI) and Fish Friendly Farming program on various restoration projects along the banks of Suisun Creek. 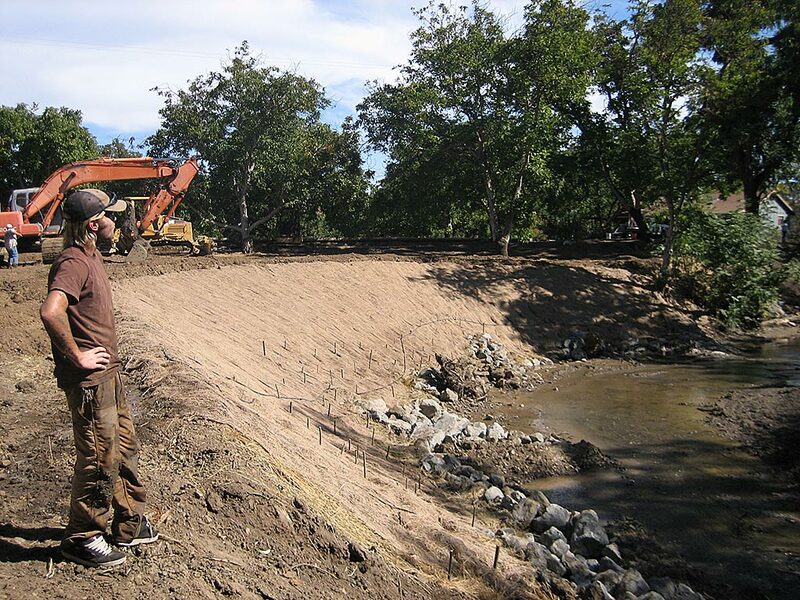 In 2010 Shelterbelt worked with CLSI and the Natural Resources Conservation Service (NRCS) to complete a streambank erosion control project on a private orchard in Fairfield. 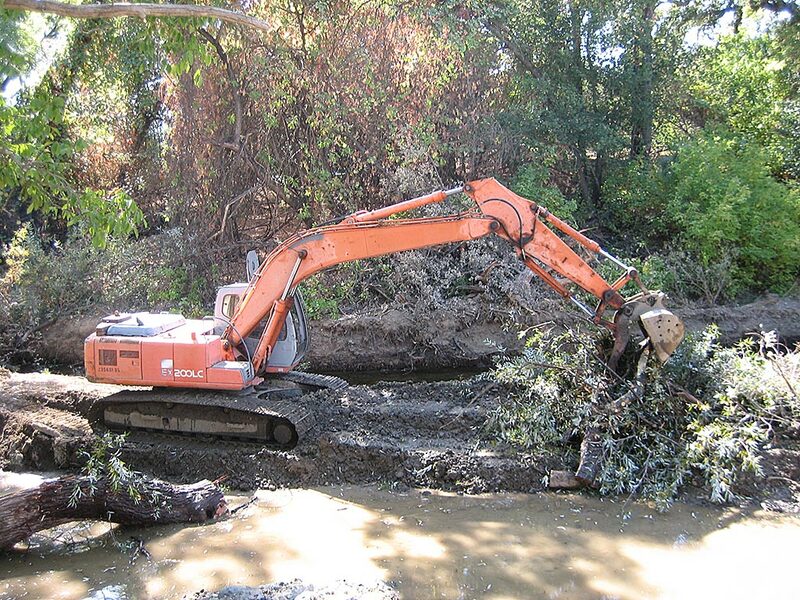 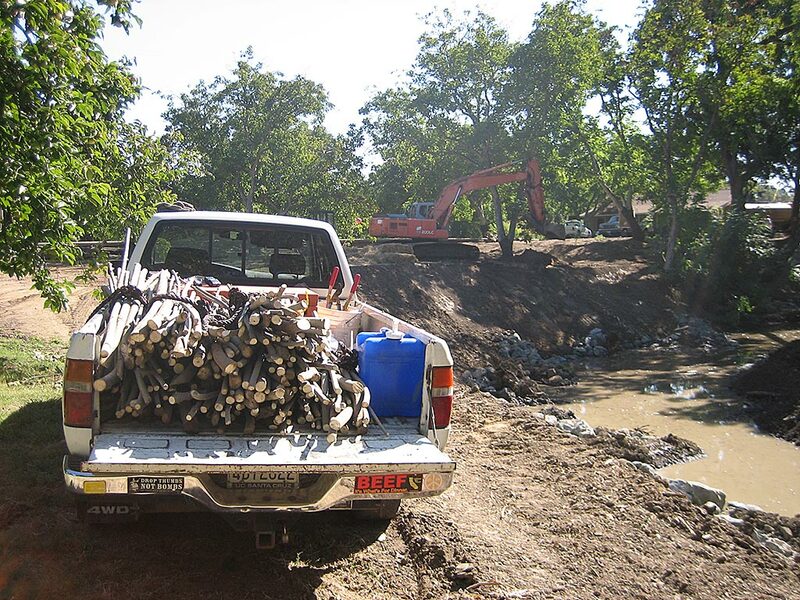 The owner's residence, orchard, and riparian trees were threatened by severe bank erosion, and eroding sediments were contributing to the degradation of water quality and steelhead habitat in Suisun Creek. 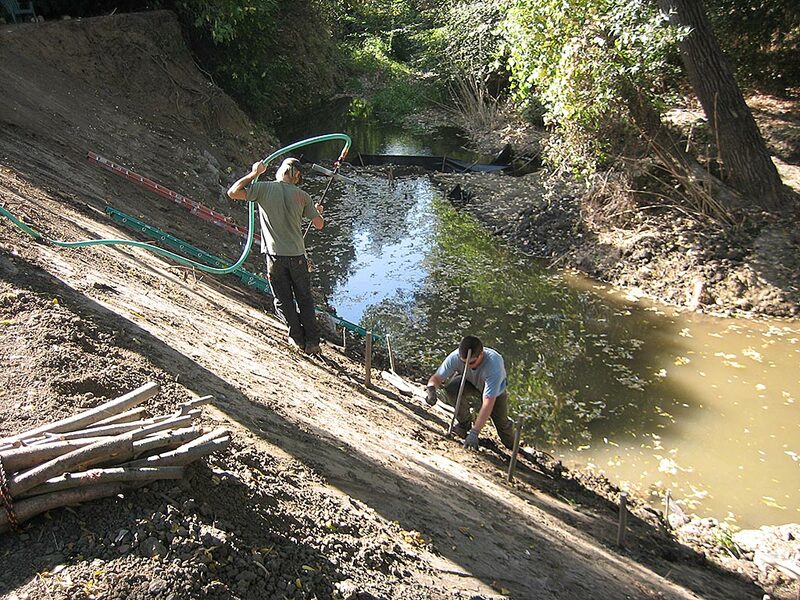 This streambank restoration project included grading and stabilization with rip rap to allow for establishment of riparian vegetation. 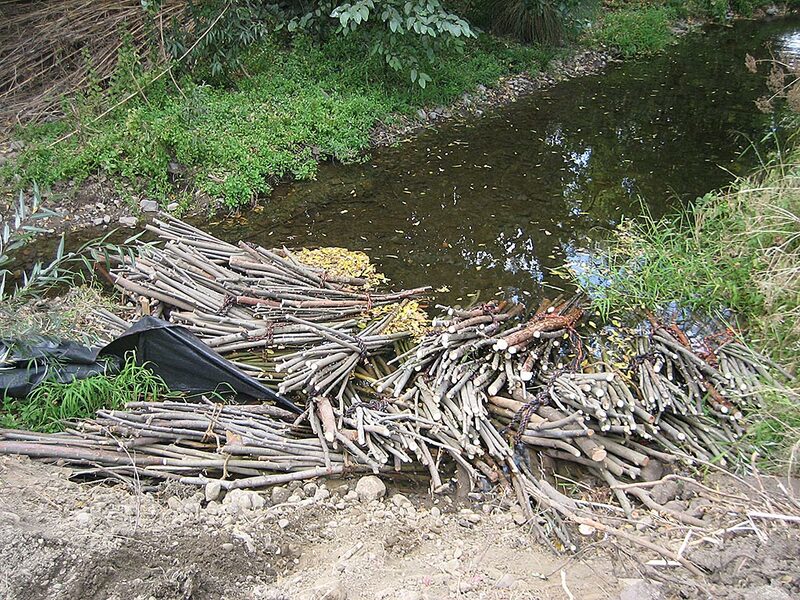 Shelterbelt harvested willow stakes onsite and installed them amongst the rip rap and exposed bank areas. 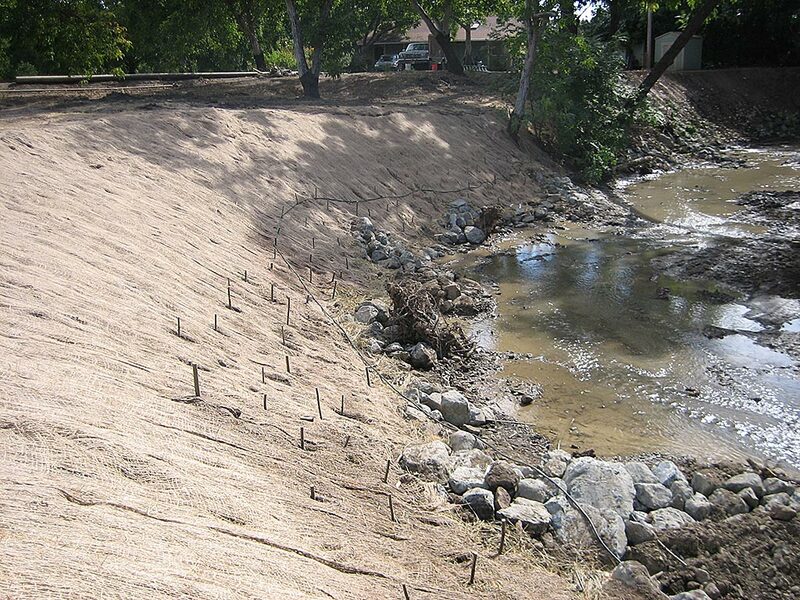 Jute netting was installed throughout the site to provide initial erosion control, and 800 willow and cottonwood trees were planted on the restored slope, which will provide longer-term bank stabilization once established.